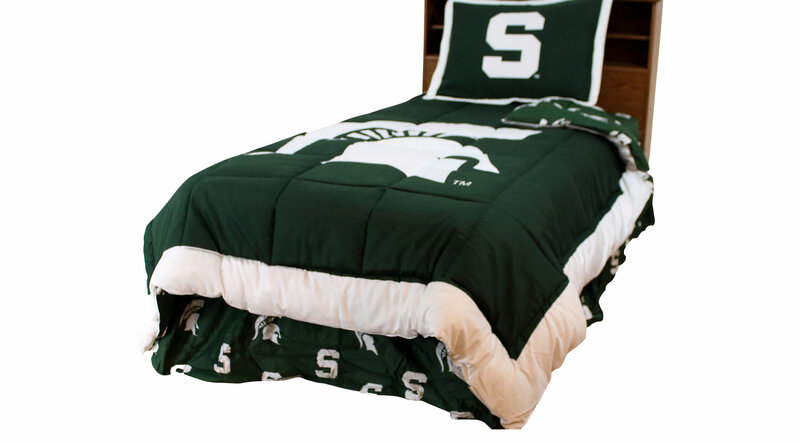 No young football fan's room is complete without the perfect bedding to inspire dreams of winning the big game. All items are 100% cotton sateen, 200 thread count for a wonderfully soft feel. Comforter has your favorite university's logo printed large on front with an all over logo pattern printed on the back giving you a reversible comforter with two unique looks. This set includes a full comforter and two pillow shams.